Solar power is certainly nothing new, but over the past 15 years or so there has been a significant increase in solar power technology. The demand for more energy-efficient tools, gadgets, and gear is always growing and many outdoor enthusiasts have adopted solar-powered products. The impact of solar power goes a lot further than just having free lighting. It can even enhance your camp cooking experience. If you were lucky you may have had a science class that not only touched on the power of the sun but may have even included a solar cooking demonstration. It’s believed that solar cooking had actually been realized far before it was officially documented, perhaps as early as 1767. Although plenty of people have used solar cooking, it wasn’t until the late 60s/ early 70s that it gained interest in North America. Solar cooking practices have evolved quite a bit over the years and a simple Google search for solar ovens will bring up hundreds of options, ranging from DIY models to $500 high-efficiency cookers. Most solar ovens require hours of cook time or sometimes nearly an entire day, depending on the model design and the weather. For the most part, this style of stove/oven wasn’t at all practical for campers. Not only were old-fashioned solar ovens fairly large, but the lengthy cooking time was inconvenient at best. Thankfully GoSun stepped up to the plate in 2013 with a successful Kickstarter campaign. GoSun originated as a solution to the concern over the reliance of fuels, wood, and charcoal for cooking, namely in developing countries. 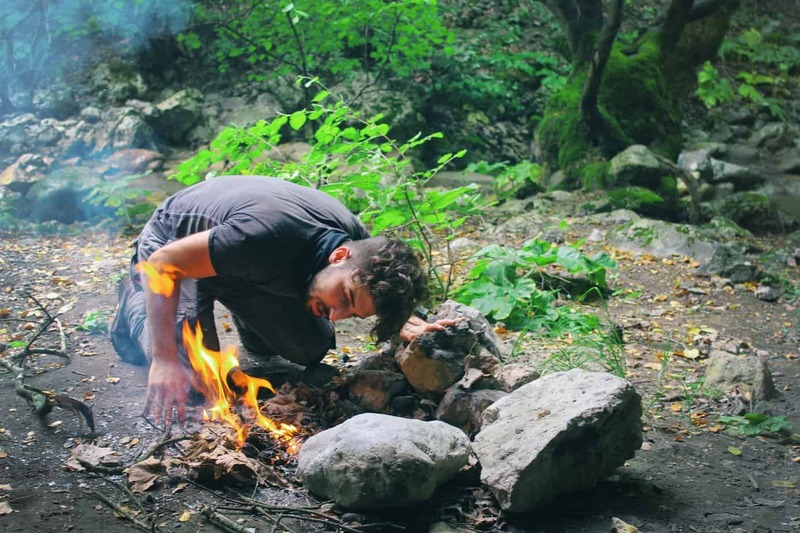 It’s estimated that over 40% of the world population still relies on open fire cooking, which not only causes significant emissions but also contributes to premature deaths due to air pollution. Aside from helping those in need in other countries, the GoSun stove design is also perfectly suitable for outdoor enthusiasts where compact size, ease of use, and quick cooking are important. To date, the GoSun brand offers four different stoves, along with useful accessories. 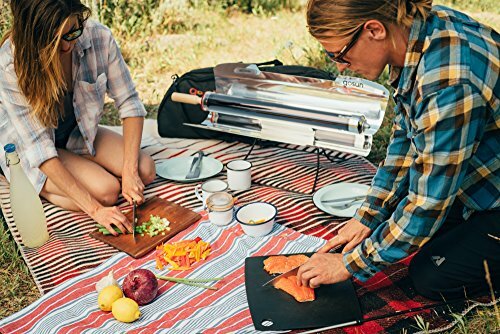 GoSun Go Portable – The original GoSun oven that’s lightweight and ideal for solo or 2-person use of smaller meals. It only weighs 2lbs and can cook a meal within 20 minutes under ideal circumstances. The Go retails for $139.00 and is their most popular model. GoSun Sport– The Sport is a scaled-up version of the Go, weighing in at 7.5lbs and easily cooking a full meal for 2+ in just 20 minutes as well. This is probably their most versatile model, due to the combination of moderate size and food capacity. The Sport retails for $279 and is occasionally on sale for $249. GoSun Grill – If you’re cooking for a big group of people (think 8 adults or so), then the GoSun Grill is the model for you. The Grill cooks just as the other models do, but it holds 4x as much food. That being said, the Grill doesn’t fall within the 20 minute minimum of the Go or Sport. The Grill retails for $699. GoSun Station – GoSun also offers a massive commercial solar oven designed for events. The GoSun Station is clearly not a choice for the average consumer, but it does go to show that these ovens are highly effective at cooking and more than powerful enough. For the typical camper, backpacker and general outdoorsmen, chances are the GoSun Go and Sport are going to be best options. The Go is ideal for single-person use, though it certainly can hold enough to make a decent meal for two. The Sport is an excellent advancement up if you regularly cook for two and plan on using it as your primary cooking source out in the backcountry. You’d be hard-pressed to find anything seriously wrong with the any of the GoSun stove systems. 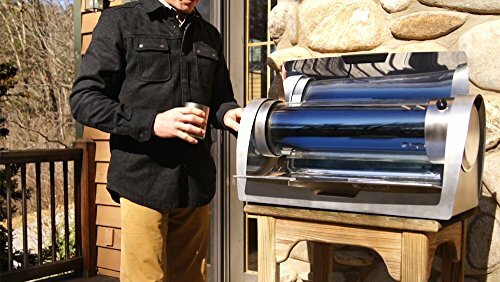 When it comes to cooking efficiency, structural design, and overall cost vs value, either the Go or the Sport would be a great way to go if you’re in the market for a solar cooker. Here are a few reasons why the GoSun stoves have come into high demand among outdoor enthusiasts. For maximum cooking speed, the weather will need to be a full sun with little wind. From about 100% full sun to 60%, even with some wind or even snow, is often enough to cook a meal in a reasonable amount of time. Getting below 60% sun and down to 20% your GoSun stove will still cook but it will take longer. The overall design does allow for incredible efficiency, even in less than ideal conditions. As a bonus, GoSun also has a hybrid solar/electric option for cooking through the night or during the day/evening if your stove needs a little help due to cloudy skies. Unlike some other solar cookers that really only bake, much like a standard oven, the GoSun stoves are capable of roasting, steaming, and even frying. Many customers reluctant of how useful for the tube-shaped cooking surface could be pleasantly surprised that it not only holds quite a bit of food, but they can really cook their meals however they’d like. A visit to GoSun’s recipe blog is a great way of getting an idea of how you can use these stoves. Solar ovens are known for being big and bulky. One of the reasons behind GoSun becoming so successful is how portable and lightweight their stoves are. The Go model is roughly 14″ x 10″ x 7″ and weighs just around 2lbs. The Sport is 24″ x 8″ x 5″ closed and 24″ x 16″ x 12″ when in use. The Sport only weighs 7lbs, which isn’t much considering it makes enough food for two. Although the GoSun stoves can get incredibly hot inside (up to 550F for the Sport and Go) it is still completely safe to have at a family campsite or in cozy conditions. These stoves are not a fire hazard and won’t burn you if you touch the exterior. If a traditional campfire or fuel stove has you worried because of children or pets or you’re camping in a dry area with high fire risks, GoSun stoves are perfect. There are less expensive solar stores on the market and there is also the option of building your own. However, when it comes to manufactured stoves the GoSun Go and Sport are either less expensive or at least comparably priced. Considering the quality and effectiveness of these solar ovens, the price tag is worth every penny. There really are no disadvantages to the GoSun stoves themselves. They function as intended, are found to be easy to use, and structurally will last for quite a while with proper care. Although there is nothing fundamentally wrong with the stove themselves, perhaps the only drawback would have to do with them being solar-powered. A possible drawback of every solar-powered stove is that there is obviously reliance on the weather. A bright, sunny day is optimal and, as mentioned above, when conditions are such the GoSuns are at their maximum efficiency. However, it could be an annoyance to have to wait longer for your meal if the weather doesn’t turn out to be as sunny as you’d expect. Is this a problem with the GoSun stoves? No, but rather something to be aware of when using any type of solar powered product. Chances are that we’ll see a growing number of solar stoves on the market directed at campsite use as well as mini-stoves, like the GoSun Go, for those that spend hours or days out in the woods. 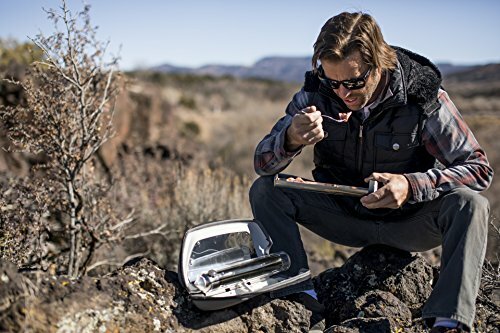 The innovative design of the GoSun is not just unique, but it is one of the quickest portable solar oven systems available. If you’ve been interested in trying out solar cooking or are looking for a neat new way of cooking up a meal, the GoSun Go or Sport would be great options.